Students from the university's Studio 804, a graduate level architecture studio, recently completed a solar-powered home that achieved both LEED Platinum and Passive House certification. The 1,941-square-foot house contains three bedrooms and two-and-a-half baths within an airtight and highly insulated envelope, wrapped in low-maintenance siding salvaged from dismantled railroad bridge trestles. Interior recycled materials include countertops made from reclaimed marble slabs sourced from a demolished office building. A group of students created 30,000 Hands, a website capable of linking the more than 30,000 university students with local service opportunities, as an outcome to a class project that challenged the students make a difference in the community. The website attempts to respond to the needs of Iowa City’s nonprofit, charity and social-good organizations while providing real-life learning opportunities for students. Highlighting the university's living laboratory model, the new video animation features the university's ground source heating and cooling system, and draws connections between campus projects and classroom engagement. 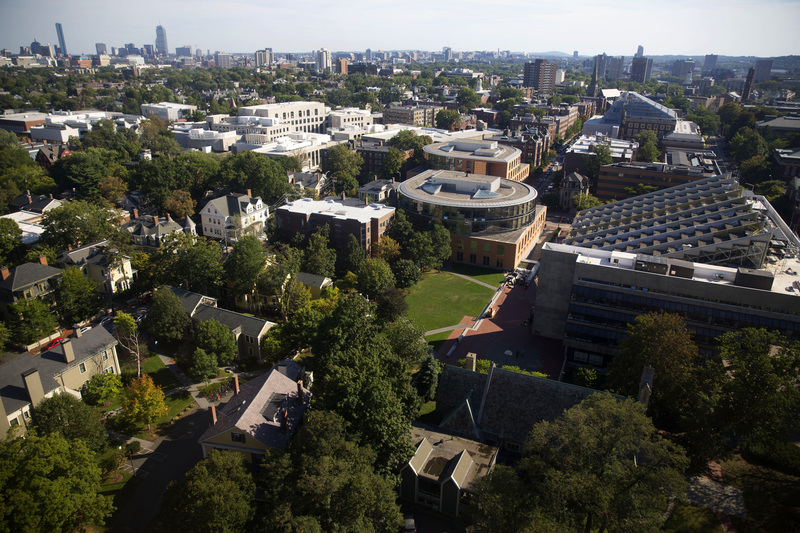 In a recently released report, the university details the path it took to achieving its goal, which it set in 2008, to reduce greenhouse gas emissions 30 percent by 2016 from a 2006 baseline, inclusive of campus growth. The steps included energy audits and energy efficiency measures across most of the 25 million square feet of campus, installing renewable energy technology, and fuel-switching and other improvements to campus utilities that lowered carbon pollution. Changes to energy supply and demand resulted in a 24 percent absolute reduction in emissions while purchased electricity from local renewable energy sources fulfilled the remaining six percent reduction. A former student member of the university's tennis program proposed a photovoltaic project for the tennis center that, now installed, cut natural gas consumption at the center by 40 percent. Funding was approximately $80,000 and came from the Green Fund Working Group. The project was completed fall 2016 and is comprised of 67 solar panels. The college's dining services provider, Creative Dining Services, awarded the college a Gold certification as part of the providers Sustainability and Ecological Engagement and Development program, which awards points in the categories of non-food waste, food waste, energy and water, and sourcing. Initiatives pursued at the college include trayless dining, which reduces food waste, water use, detergents and energy for cleaning, using food waste for compost and procuring local food. Former Furman University President David E. Shi and his wife, Angela Halfacre Shi, have made a $500,000 gift to the university that will provide additional financial support for students who are actively involved in the work of the David E. Shi Center for Sustainability. The gift will create an endowed fund to support undergraduate students in sustainability research, service, and internships focused on campus and community-based projects. In late November, the university's board of governors committed to decrease the carbon footprint of its investment portfolio by at least 30 percent by 2030. This target is in line with Canada’s climate commitment, and enables the university to actively encourage companies to pursue lower carbon solutions, while also reducing its investment risk. Bicycle Friendly University award designations grew this year with 37 campuses obtaining a designation for the first time. Eleven campuses moved up from one designation to another, with a total of 51 campuses now having the Bicycle Friendly Designation, a program of The League of American Bicyclists. 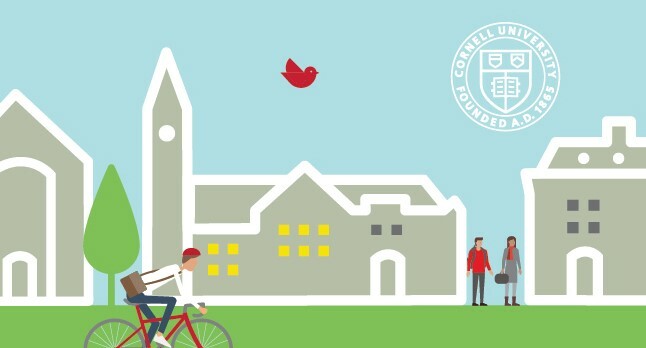 A new university grant program that combines scholarship with campus sustainability is offering up to $50,000 in funding for projects that promote reductions in greenhouse emissions and increase awareness about sustainability. The grants are part of the Campus as a Laboratory for Sustainability program, overseen by a team of faculty from 11 schools and colleges. 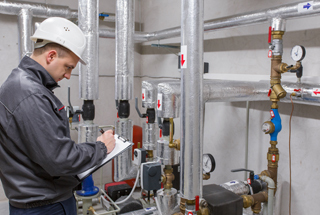 The project merges academic scholarship with the university’s broad initiatives to meet energy efficiency goals, while having the campus become a testbed for innovative ideas. Students struck down a resolution supporting the construction of a 1,000 space, permeable-pavement parking lot on what is currently a wooded area on campus. Members of the student Residence Hall Association expressed concerns that the new lot would jeopardize the environment and weren't in line with the university's sustainability goals. One student was quoted as saying, "Green spaces are increasingly rare and increasingly more beneficial to mental health." Commute Green, the university's new carpool service, enables community members to share rides, find ways to campus via multiple routes like biking, walking and busing, and see on an interactive map the locations of bike racks, bike pumps and bike repair stations. Construction began in September on a new Associated Students Sustainability Center, a multi-functional space serving as an expanded collections station for campus recyclables, the administrative hub of the Associated Students' sustainability programs and services and the administrative offices of the Institute for Sustainability. The building will include photovoltaic and solar hot water panels, a gray-water collection system and composting toilets. 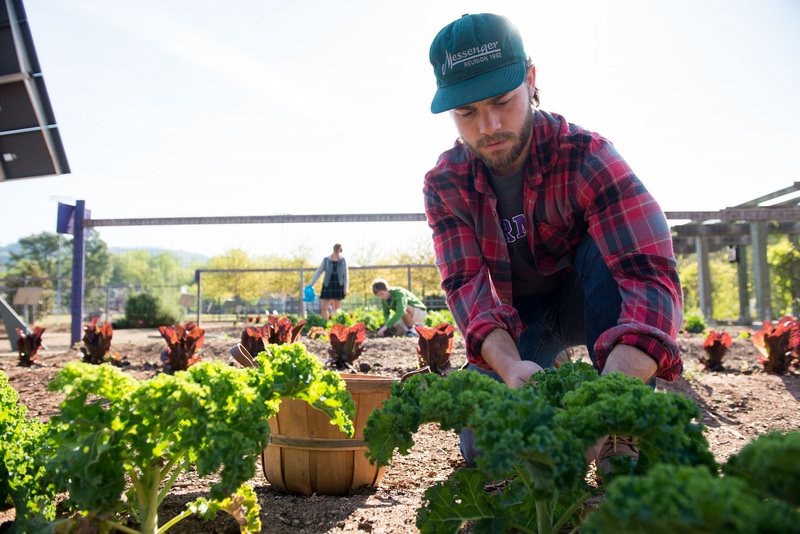 The university is the 56th school to join the Campus Kitchens Project’s national network of kitchens that reclaims unused food from local campus vendors and transforms it into a healthy meal for those experiencing food insecurity. 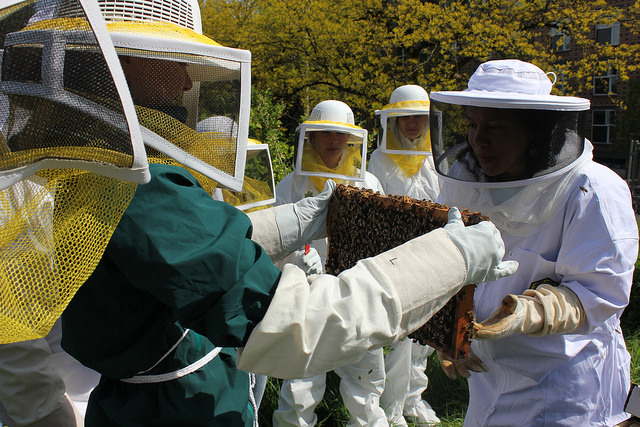 Roughly ten thousand bees were recently brought to campus by way of the campus' beekeeping cooperative, The Hive. The two beehives, which are behind a fence to prevent passers-by from walking too closely, will remain dormant through winter and come alive in the spring after the queen lays an estimated 50,000 eggs. Thanks to a partnership between a graduate student and the university’s Grounds Management department, a large pollinator-friendly garden is both managing stormwater and providing habitat on campus. 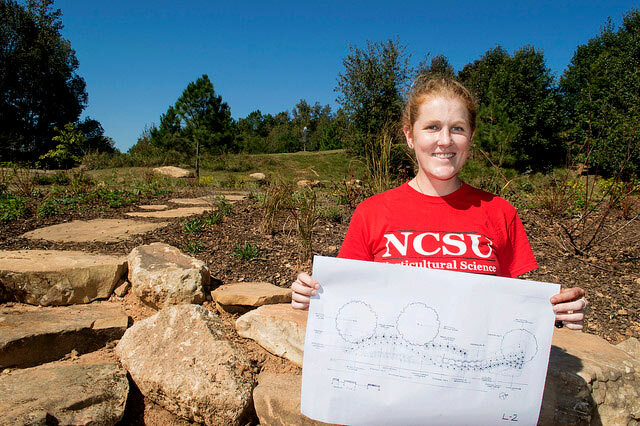 The project was funded through the NC State Sustainability Fund, a student sustainability fee of $1.50 per semester. After a student-initiated investigation revealed that peers needed food assistance, the CUB-Board was born, providing food and necessities such as soap, detergent and paper towels for students in need. Students can claim up to seven bags of groceries per month or, if they have a one-time need for lunch or a snack, they can come to the CUB-Board without a full application. (U.K.) Chosen by an international jury from a total of 120 nominations, the National Union of Students U.K. from the United Kingdom will receive $50,000 from the UNESCO-Japan Prize on Education for Sustainable Development, funded by the Government of Japan. The National Union of Students U.K. won for its Green Impact initiative, a 10-year-old effort that helps students’ unions improve their sustainability practices. The college signed onto the Real Food Challenge in October 2016, pledging 20 percent of the food provided on campus will meet sustainability and fairness standards set by the Real Food Challenge organization by 2020. Students, whom the college's president credits for leading the effort to get Smith to join the Real Food Challenge, have been working for three years to research food practices and raise awareness of sustainable food issues on campus. Student Action NU, a new undergraduate-led organization, is meant to serve as a space for students who want to organize around social justice issues with an intersectional perspective, such as the Black Lives Matter movement and climate injustice issues. Through a series of curriculum workshops held across the university system, over 200 professors in fields ranging from music to Swahili have developed new materials for existing courses that incorporate climate change and sustainability into their subject areas. 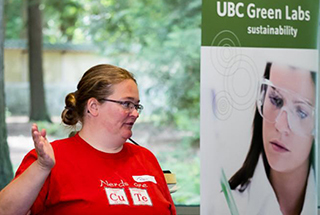 The new program is part of the university’s Carbon Neutrality Initiative. In an effort to influence conferences and universities around the country on the importance of sustainability, the Pacific-12 Conference will host the first conference-wide college sports sustainability summit in June 2017 in Sacramento, California, as part of the annual Green Sports Alliance Summit. 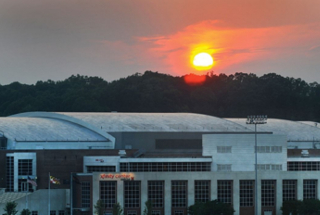 This event will convene sustainability officers from across the conference to design new collective initiatives and share best practices to transform college sports into a platform for environmental progress. This announcement was made on the inaugural Green Sports Day. Cedar Valley College, Furman University and University of Manitoba were proclaimed Campus Sustainability Achievement Award winners; Erica Davis from University of Tennessee at Knoxville earned the Student Sustainability Leadership Award; an undergraduate group from the University of Houston and a graduate group from the University of Michigan each won the Student Sustainability Research Award; and Tina Lynn Evans from Colorado Mountain College received top place in the Sustainability Research Award. The AASHE Sustainability Awards program provides a vehicle for the higher education community to celebrate outstanding achievements and progress toward sustainability. 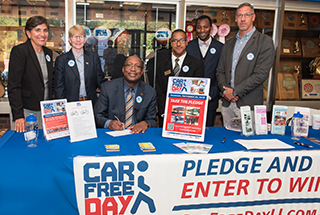 The community college and Suffolk County jointly hosted a Car Free Day Long Island Summit. The event, which SCCC President Shaun McKay kicked off, included discussion about sustainable transportation options available to the community in an effort to reduce transportation-related carbon emissions, which is 30 percent according to a regional sustainability plan. The new social justice living learning community is designed for students interested in learning more about and practicing principles of social justice, including issues of equality and diversity involved in promoting a more inclusive and just society and those interested in bringing about positive social change. 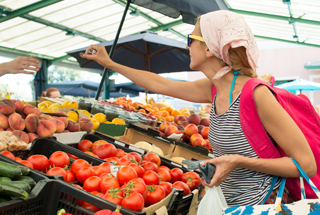 Adopted summer 2016, the new sustainable purchasing policy supports products and companies that exhibit pro-environmental and social practices. 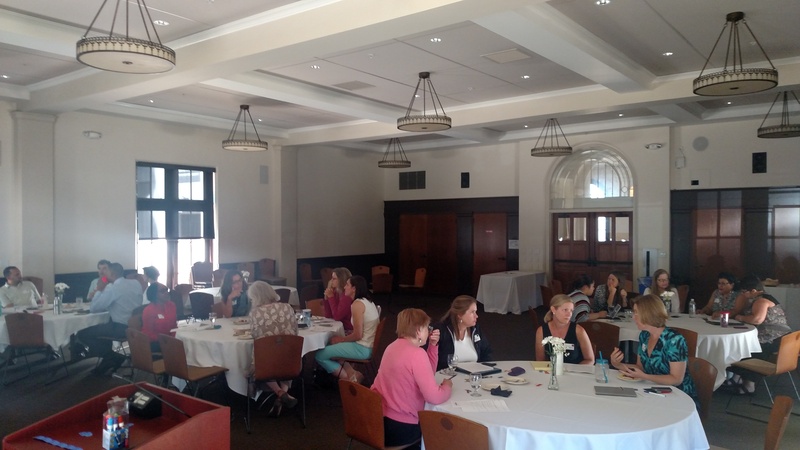 Stakeholder workshops were held with staff to discuss the context of how a purchasing policy will work on campus and outline important next steps towards its implementation. In an effort to reduce the landfill waste, the Office of Sustainability and Residence Life coordinated an end-of-year move-out campaign to capture unwanted materials and recently held a sale of those items that collected over $9,000. Of the materials that were obtained at the end of the year, some of the items were donated to local charities, such as a women's resource center, a veteran center and homeless shelter. After the Energy Action Coalition's newly hired (2015) executive director, Lydia Avila, completed a listening tour with stakeholders, it was decided that along with a name change, the Power Shift Network will decentralize itself into "a national network of climate, clean energy, and social justice organizations, including student-led groups, who, together, mobilize the collective power of young people to mitigate climate change and create a just, clean energy future and resilient, thriving communities for all", Avila says. The Association of Students of the University of Nebraska's Environmental Sustainability Committee has worked with administrators, food vendors and a new Lincoln-based company to establish the composting program, which will be established in three phases. The first phase includes pre-consumer food waste, while additional phases will feature promotion and education, and expansion that includes all compostable waste from the Student Union. 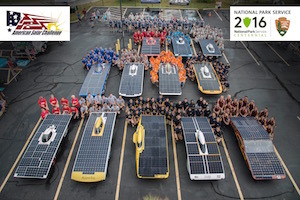 The 2016 American Solar Challenge, an eight-day, 1,975-mile road course traveling through nine national parks in seven states, provides student teams with an opportunity to demonstrate their solar-powered vehicles in real world driving conditions and test the reliability of all onboard systems. Twelve teams competed with trophies awarded to the top three finishers: University of Michigan, Dunwoody College of Technology and University of Toronto. As a result of one student's efforts to transform the university's purchasing practices of logo apparel, the new partnership means that Workers Rights Consortium (WRC) investigates working conditions at factories producing clothing and other products bearing the university's name and logo. 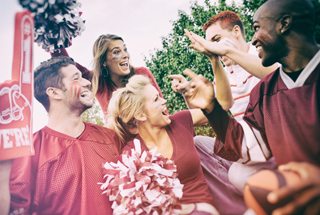 Collegiate affiliates of the WRC have a manufacturing Code of Conduct that addresses, among other things, workers' wages and rights, and workplace safety and health. By sharing helpful tips with students and faculty, students reduced paper usage by 44 percent and faculty by 10 percent in the 2015-16 academic year. 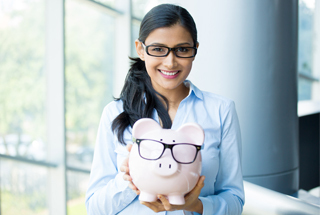 A Paper Reduction Committee ran promotional campaigns on ways to reduce printing as well as promoted tips such as encouraging students to print double-sided, using the multiple pages per sheet printer function, and promoting use of an electronic document sharing solution. 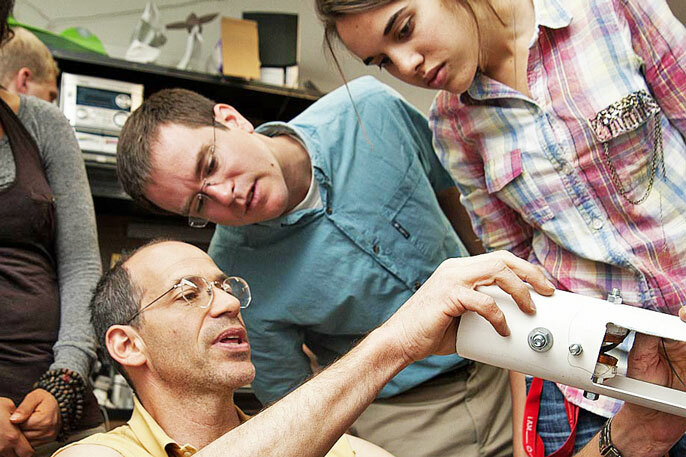 The 2016 Community College Innovation Challenge, a team competition calling for innovative, research-based solutions for food, energy and water, named Forsyth Technical Community College as first place, and Normandale Community College and Virginia Western Community College as tied for second. The competition was hosted by the National Science Foundation and the American Association of Community Colleges. APPA: Leadership in Educational Facilities, better known as simply APPA, recently named its award recipients for its Sustainability Award. They are Colorado State University, Elon University, George Washington University, Ohio University, Portland Community College, Spelman College, University of Michigan and University of Virginia. APPA's Sustainability Award in facilities management is designed to recognize and advance sustainability excellence in educational facilities. The university’s Office of Sustainability Initiatives announced the recipients of its inaugural Green Labs at Emory and Green Offices at Emory Incentives Fund programs that use small grants to fund innovative, timely and impactful projects led by students, faculty and staff to foster sustainability-related knowledge and habits in laboratories and workspaces. Following a student-led movement to direct more of its portfolio toward clean energy, the University System of Maryland Foundation, which oversees the state university system's $1 billion endowment, said that it will stop investing directly in the 200 coal, oil and gas-related companies on a list complied by Fossil Free Indexes. 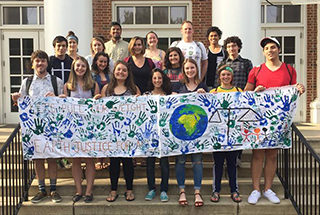 Students at University of Maryland, College Park began the push to divest from fossil fuels in 2013, circulating a petition with nearly 600 signatures from within and outside the university. (U.K.) A university working group, charged in 2015, recently announced its plans to blacklist all investments in coal and tar sands, although currently it has no direct holdings in either. At this time, however, the university refuses to completely divest from fossil fuel investments. 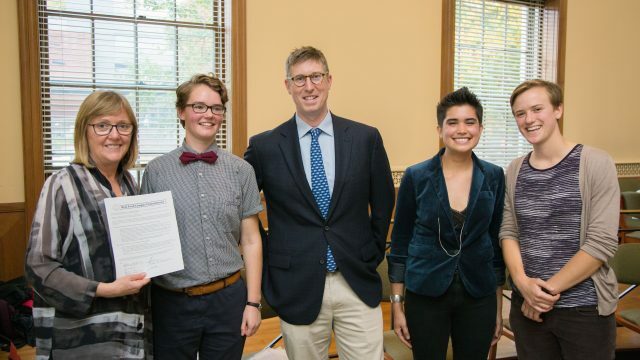 This decision follows a petition signed by more than 2,000 students calling for divestment and a student union council vote 33-to-1 in favor of divestment. Nearly 100 Cambridge academics signed an open letter in April 2016 calling for divestment. 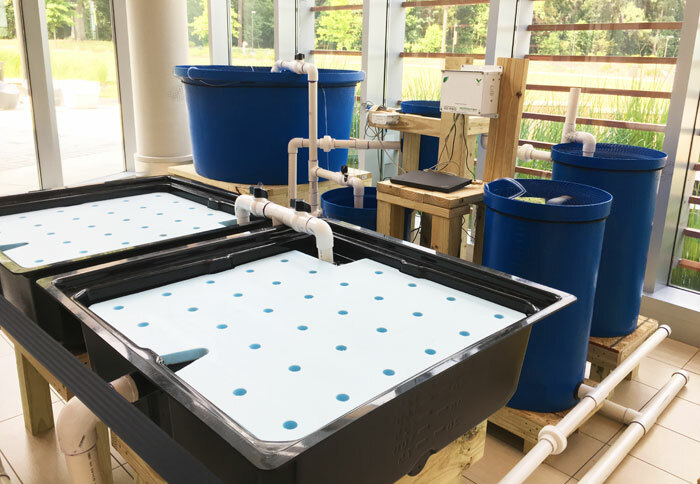 Thanks to the NC State Sustainability Fund, the university's Talley Student Union is now home to a student-designed and maintained, 800-gallon aquaponics system, a closed-loop food production method, featuring a tank of up to 15 fish and two shallow planting containers that will grow tomatoes and salad greens in water. One hundred and twelve participants, forming 18 teams, from 11 buildings across two campuses competed in a challenge to make research labs more energy efficient. The results yielded over 7,500-kilowatt-hours per year in energy savings, primarily through raising the freezer temperatures from minus 80 degrees C to minus 70 degrees. 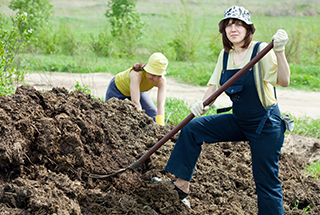 An $80,000 boost awarded by the California State University’s Campus as a Living Lab (CALL) program will cover the redesign of Urban Agriculture, a course in the Department of Environmental Studies. A large portion of the funding will go toward running power and water to the area where students work. As a part of the Urban Ag course, students will do hands-on work in the yard, creating compost and mulch for the 3,500 trees on campus. Starting in fall 2016, the new partnership enables students to use their meal plans to choose between the pre-built snack boxes and produce boxes available from Greens to Grounds, a nonprofit, student-run agricultural organization that is dedicated to making fresh, local food accessible to students. The university was named this spring as the 10th Bee Campus USA campus in the nation by Bee City USA for its commitment to minimize the use of harmful chemical pesticides and raise awareness of the plight of pollinators, including bees, which have suffered from colony collapse and die-offs in recent years due to chemicals in the environment. 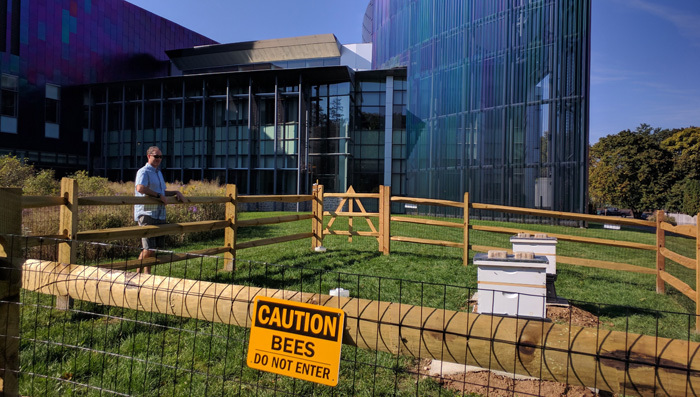 In an effort to improve the university’s urban ecosystem and provide an educational opportunity for the community, the Student Sustainability Center has installed two hives with as many as 100,000 honeybees near a community garden and orchard at the edge of campus. 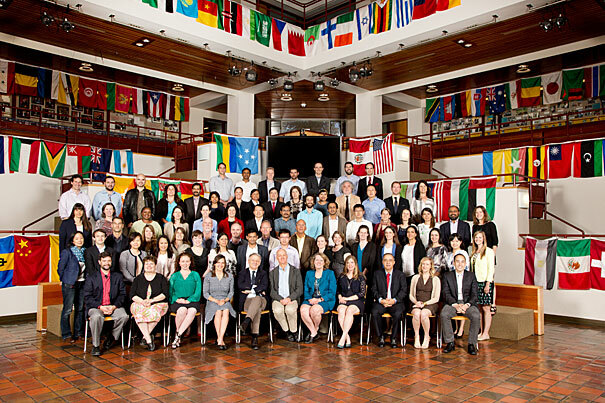 At a recent 10-year celebration of the Harvard Kennedy School's Sustainability Science Program, more than 70 program alumni gave mini-lectures over the two-day event that celebrated accomplishments and progress, and outlined challenges. In spring 2016, the university’s College of Engineering and Computer Science offered a new honors-level course titled Systems Analysis for Sustainability in Engineered Systems that utilizes the main campus as a living laboratory to apply their systems knowledge to diverse problems. The course introduces principles of sustainable engineering, systems and life-cycle thinking, and the development of sustainability metrics and indicators. As part of the Sustainability Action Research program, five students from the Resilience Team received $18,000 from the Green Initiative Fund for a 200,000-gallon water capture system in order to save an estimated 1.22 million gallons of water per year. 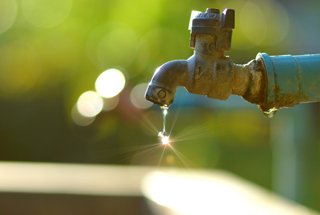 The system is intended to supplement water currently supplied by the Los Angeles Department of Water and Power for the university's irrigation system. Organized by the Canada's Top 100 Employers project, the 10 colleges and universities are Dalhousie University, Humber College, Kwantlen Polytechnic University, Mohawk College, Red River College, University of British Columbia, University of Alberta, University of Northern British Columbia, University of Toronto and York University. The Greenest Employer award recognizes employers that lead the nation in making environmental values part of their organizational culture. 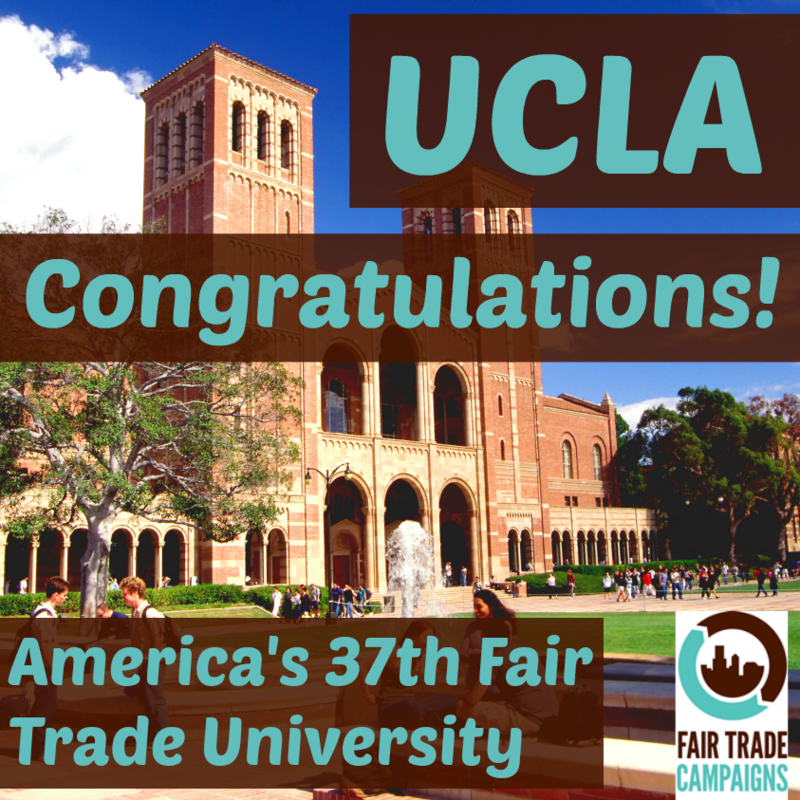 Fair Trade Colleges and Universities announced that after three years of working on the designation, the university received the title of Fair Trade University. The process involved forming a committee, offering Fair Trade products through campus dining outlets, and catering and hosting educational events on campus. Among this year's initiatives and projects that the student-run Green Fund allocated money to are the development of sustainability curriculum into existing courses, an event featuring a Stony Brook University professor about ecofeminism, eco-grief and climate justice, and funding to a pilot program that offers cooperative food shares to a local elementary school. 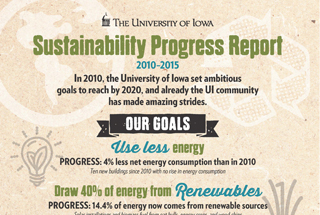 Some areas of progress include net negative energy growth, with a nearly 15 percent reduction in per capita emissions of fossil fuel-produced carbon dioxide from university-related transportation and travel, a 42 percent waste diversion rate and 14.4 percent renewable energy use.